Dr. Ade Ofunniyin's memoir, Die Not Another, is an eye-opening tale of a man's rise from humble roots in the projects of New York City to distinguished scholar and professor of Cultural Anthropology at Charleston College, South Carolina. Throughout his life, Dr. Ofunniyin experienced just about every trial and tribulation possible for an inner city black man. As the oldest child in a fractured household, Dr. O became the de facto breadwinner at a very young age. In order to make ends meet, he resorted to stealing and ultimately landed in youth prison. As he grew, he became addicted to heroin and resorted to burglary and other crimes in order to support his habit. Dr. Ofunniyin bounced in and out of youth prisons and ultimately, Riker's Island. His story could have ended there, with a lifetime of intermittent incarceration, and drug addiction, another black life lost in tragedy. Instead, Dr. Ofunniyin became a living example of the power and possibility of rehabilitation and character building. An intelligent and thoughtful person, Dr. O took advantage of every self-improvement opportunity offered to him, and the mentorship provided him by his probation officer, Martin Golar. He succeeded in gaining admittance into Lehman College, and ultimately graduated from Fordham University through their Correctional Rehabilitation Career Development program. 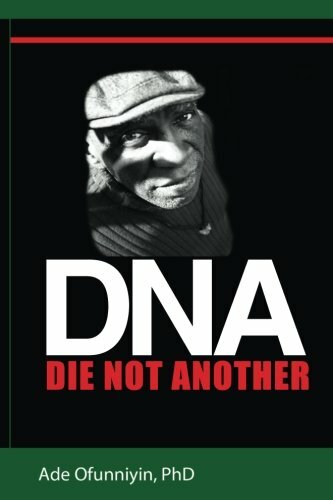 Die Not Another is not just the story of Dr. Ofunniyin's Phoenix-like rise from poverty and drug addiction to respected scholar, however. The text explores important and currently relevant themes such as social justice and racial equality. Dr. Ofunniyin grew up and experienced life as a black American in the 1960s and 1970s, but the difficulties he experienced as a young man were no different than those experienced by young black men today. Drug addiction, crime, racism, and the seeming neverending destruction of the black community through mass incarceration have deep roots in this country, and Dr. Ofunniyin brings his unique voice to these issues. What sets Die Not Another apart from other memoirs is Dr. Ofunniyin's ability to weave a professor's analysis of racial and cultural issues together with a strikingly honest telling of his own life story. The raw and gritty facts of his life are presented unapologetically. Rarely are readers treated to such an authentic picture of the reality of the challenges facing black Americans both yesterday and today. Of course, the illustration of Dr. Ofunniyin's difficulties growing up are not what inspires here. Die Not Another excels when the author shows just how possible it is to transcend barriers and succeed when the right programs and people are provided to those in need.